Italy will not exit the European Union, despite the pressure to increase public spending, as that would inflict huge economic pain on the country's population, economists say. All the 15 economists polled by the International Business Times say the country’s politicians will find it difficult to deal with the higher interest rates and a weaker Italian lira post exiting the bloc. 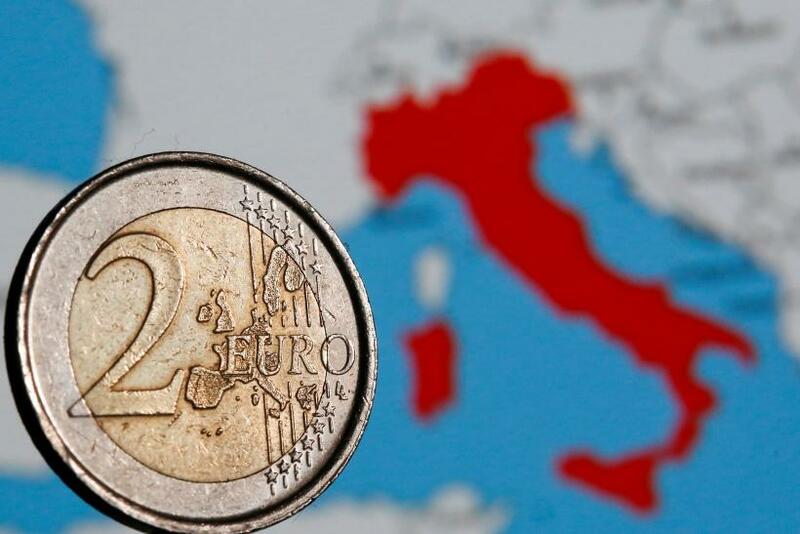 Italy’s government will need to set the new public finance and economic growth targets by Sept. 27 and submit a draft for inspection by the European Commission by mid-October. 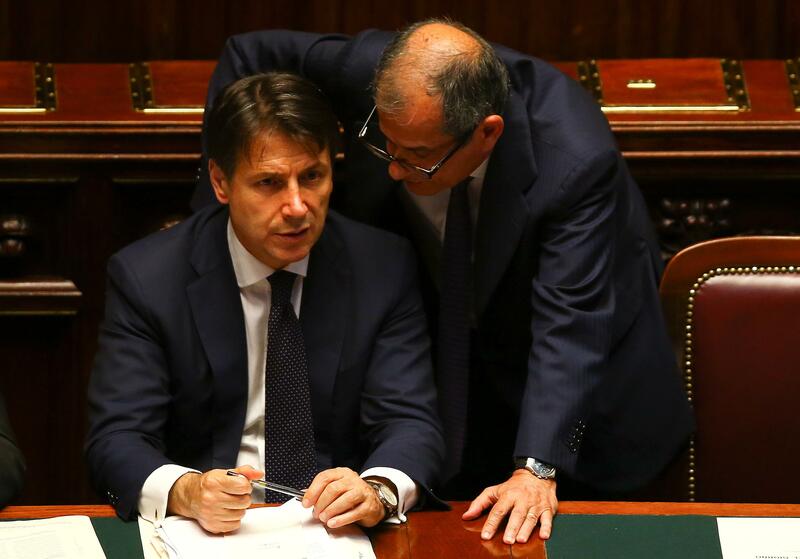 The economists that IBT spoke to expect the political parties in the ruling coalition of Prime Minister Giuseppe Conte to agree to keep the budget deficit under 3 percent, complying with a EU rule for member states. Conte leads a coalition of the right-wing League Party and the left-leaning Five Star Movement. Both parties have made populist promises that will require billions in additional spending and have urged Finance Minister Giovanni Tria to widen the gap to fund their programs. Tria, who belongs to neither party, is determined to keep the line on a deficit-to-gross domestic product ratio at 1.6 percent for 2019. Italy sits on a large pile of debt, which, at around 132 percent of GDP, makes it the second most indebted country in the euro zone after Greece. Italy’s government debt increased to 2.34 trillion euros in July, from 2.32 trillion euros in June. Carsten Hesse, European economist at Berenberg, thinks even if the coalition parties have the stomach for the fallout from an Italexit, getting a two-thirds majority in Parliament for getting the step approved would not be easy. “I know they're preparing for it as plan B discussions, but in theory you need like a two-thirds majority in the Parliament and this is difficult to get,” he says, pointing out that a majority of the country’s population -- particularly the pensioners who would lose if they get paid in lira -- is against an Italexit. Most economists say that though the government signals a budget deficit of around 2 percent, the actual deficit may slip to around 3 percent. “The official budgetary draft will show a forecast deficit figure of 2 percent of GDP while de facto it will come at around 3 percent of GDP,” Wagner of Commerzbank says. Fears of an ‘Italexit’ have spooked Italy’s equity and debt markets since May this year. On August 31, the spread between the Italian and German 10-year government bonds hit the widest since June 2013, rising to 291 basis points. The spread between the 10-year German bunds and 10-year Italian government bonds has widened to 244 basis points Monday. Hesse expects volatility in the bond markets to continue, saying it will push the politicians to take some action. “It's actually a good thing when the bond markets react quickly and punish Italy because this forces the politicians to become real, otherwise they would do what they want,” he says. Italy’s 10-year government bond yields rose to 2.95 percent on Monday, from 2.84 percent in the previous trading session. In August, rating agency Fitch downgraded Italy’s outlook to negative from stable, and maintained its sovereign rating at BBB, citing risks of fiscal loosening that would leave Italy’s very high level of public debt more exposed to potential shocks.